Boy, I sure knew a lot about raising children — back before I had any I mean. Just like anything else, there is a right way to do it, and a wrong way. Actually, there are many wrong ways, but only one right. And you better believe I was going to do it right! Well, it didn’t take me a long time to figure out that children aren’t recipes, and there aren’t any perfect formulas for raising them. I’ve been on this motherhood journey for a little over eight years, and if anyone has done their homework, surely it has got to be me! I’ve read just about every baby care, parenting, educational and motherhood book I could get my hands on — but the one thing I’ve discovered of the years is that the more I learn, the more I find there is yet to learn! Despite all the “know-how” I gained from these books, my babies never slept through the night, my preschoolers whine about what’s served for dinner, and my kids rarely respond with an enthusiastic “yes mommy!” when told to set the table (or anything else for that matter!). I recently had the opportunity to work on the Hoodwinked Launch Team, to help spread the word about the new book released this month by Karen Ehman & Ruth Schwenk. It’s all about the lies and myths about motherhood that women often believe – similar to my own preconceived (no joke intended!) notions about motherhood. They are trying to get the word out about these lies so that mothers can experience joy, build relationships with one another, and raise their children to the glory of God. I have to do it all right, or my child will turn out wrong. And what’s really great about this book (especially considering the buffet of motherhood and parenting books out there) is the focus on using the truth of God’s Word to replace the lies we believe. If you are feeling the pressures and stresses of motherhood, if you are struggling with judging or feeling judged by other moms, and if you would like to move past our culture’s lies concerning motherhood, this book is for you! Please note that I as a member of the launch team I was provided with the book free of charge and agreed to read, respond to questions ,and help spread the word. I was not required to provide a favourable review. As always, these opinions are my own honest impressions. What are some of the lies and misconceptions you had about mothering before you had children? Are there any that you still find at work in your mind, stealing your peace and joy? 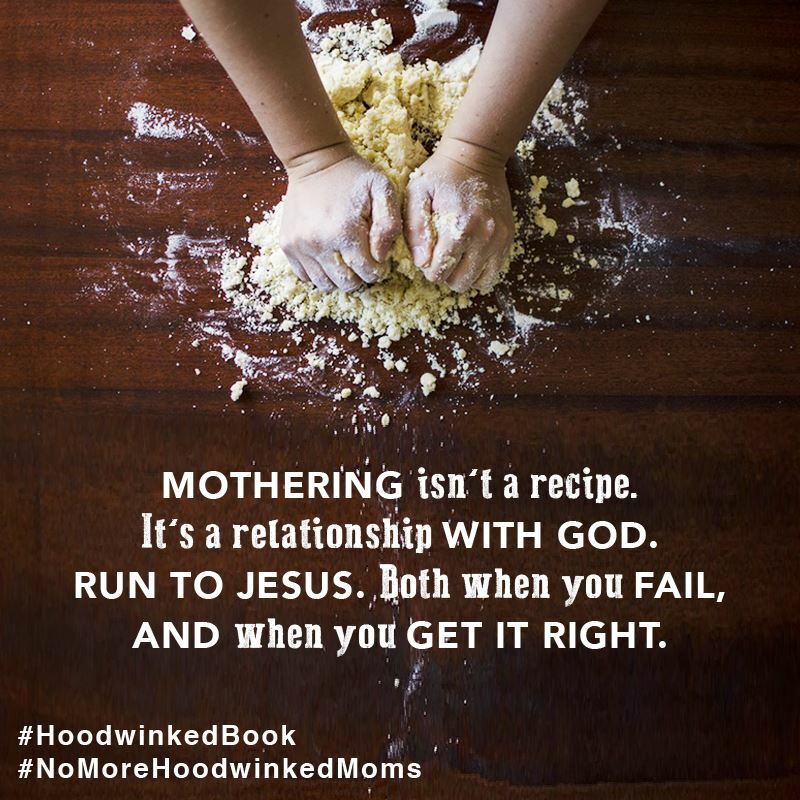 If you want to know more about Hoodwinked, check it out on Ruth Schwenk’s site The Better Mom and Karen Ehman’s site. There are some awesome giveaways going on as the book launches, as well as an online book study with the authors! The book can be purchased from Amazon or Christianbook.com.